Google Home Mini is now the bestselling smart speaker in the world with over 2.3 million units shipped during Q2, 2018. That’s according to a new Strategy Analytics report which claims that Amazon’s Echo Dot took second place during the quarter with 2.2 million units. Overall, 11.7 million smart speakers were shipped during the period with Google and Amazon devices dominating the sector. Amazon’s flagship Echo came in third on the list with 1.4 million shipments (12 percent market-share), while the Google Home came is at number five with 0.8 million units shipped, cornering 7 percent market-share. With over 800,000 units, Alibaba’s Tmail Genie was the only non-Google/Amazon device on the list, coming in at number four just ahead of the Google Home. While Apple’s Siri-powered HomePod speaker failed to generate the volumes, it still accounted for a significant chunk of revenues in the segment, reportedly bringing in a whopping 70 percent of the total revenues for all devices above the $200 price-point. Overall, it took only a 6 percent share of shipments during the period. On the other hand, the Google Home Mini and Amazon Echo Dot accounted for a combined 38 percent share of global shipments, but contributed just 17 percent towards the value because of their lower price-points. 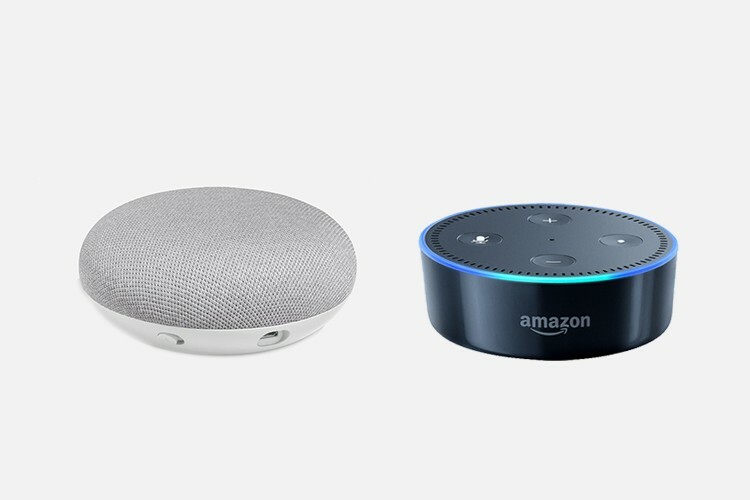 In a press statement, David Mercer, Vice President at Strategy Analytics, said, “The number of smart speaker models available worldwide has grown significantly over the last twelve months as vendors look to capitalize on the explosive market growth”. According to him the market is poised for further growth in the coming months with brands like Samsung and Bose also slated to launch their own smart speaker models going forward.